VLC creator VideoLAN has announced on Twitter that its popular media app player will no longer support download from Huawei device's on the Google Play Store. @HuaweiMobile phones are now blacklisted and cannot get VLC on the Play Store. Their ridiculous policy of killing all background apps (except their own) breaks VLC audio background playback (of course). The putative reason for this has to do with Huawei's EMUI Android skin that aggressively kills off non-Huawei backgrounds. This, of course will result in the user getting a less ideal experience when using the app for background playback. Another obvious reason why VideoLAN has decided to block Huawei devices from downloading their video player is because of the negative reviews that it will be receiving from Huawei users as a result of the break in background play. 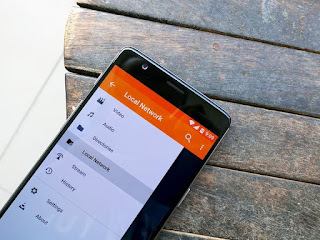 The ban on Huawei devices from downloading VLC media player from the Google Play Store affects all Huawei device and just some specified model. Huawei users can however, still down VLC APK direct from VideoLAN website. Huawei has been facing alot of heat from the US and the Australian government over national security concerns. The Chinese firm faces risks of being banned from these countries as the US government is even calling for Canada to join it kicking the Chinese telecommunications company. Another obvious reason why VideoLAN has decided to block Huawei devices.